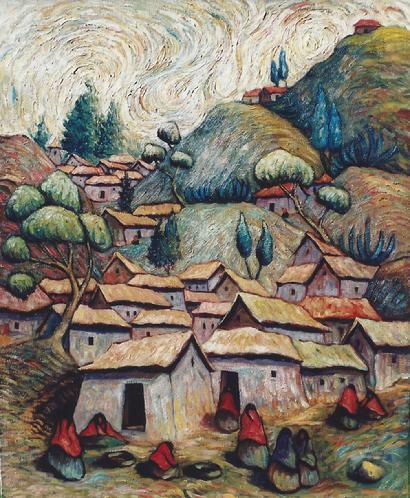 Peruvian artist Hugo Lecaros is often called the Van Gogh of South America for his powerful oil paintings. 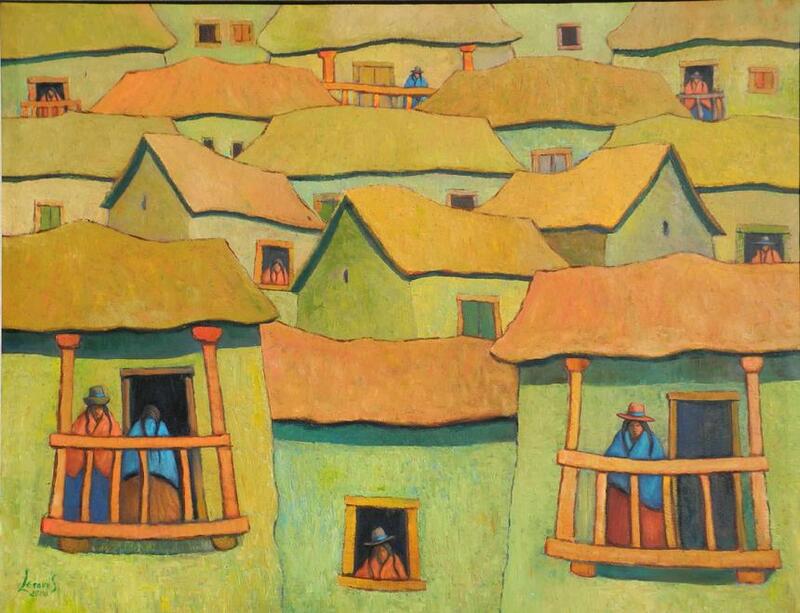 "Roofs and Balconies" 40x50" by Hugo Lecaros $4,500. 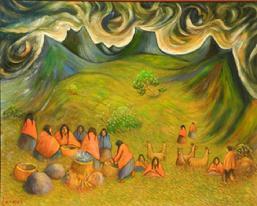 It is with greatest sadness that we announce the death of Hugo Lecaros on July 26, 2016. 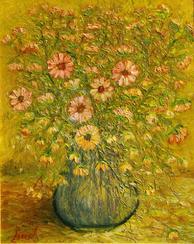 His strong will, exhuberant personality, sense of humor, and huge talent are missed. 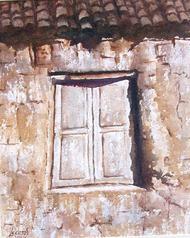 His spirit lives on in the hearts of all who knew him and in his beautiful art work. 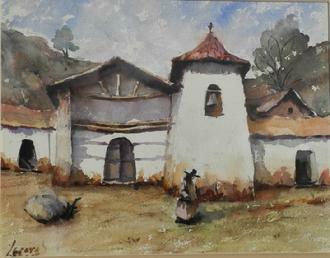 All of the paintings shown above have been sold. 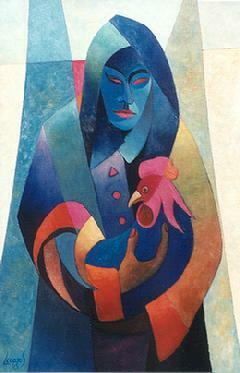 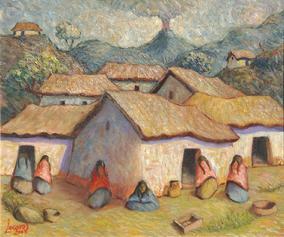 Hugo Lecaros painted "from his heart" scenes of his native Peru. 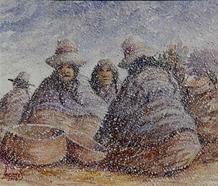 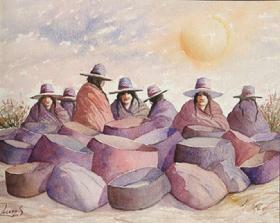 His watercolors and oils convey the profound spirit of the Peruvian people and the magical beauty of the Andes. 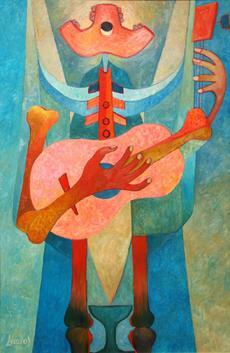 He has been called the "the poet painter who sings with brush strokes of genius." 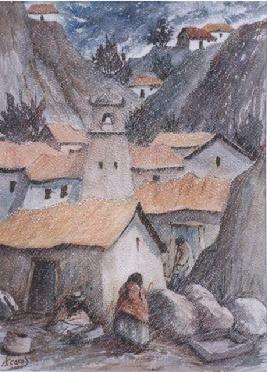 Lecaros was awarded the prestigious Premio Nacional Medalla de Oro del Inca Garcilaso de la Vega by the Instituto Nacional de Cultura in Peru in 2005. 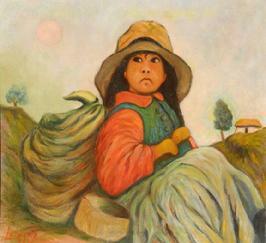 Orphaned at three, he roamed the streets of Cuzco until the age of nine, when he was taken by an uncle to the jungle. 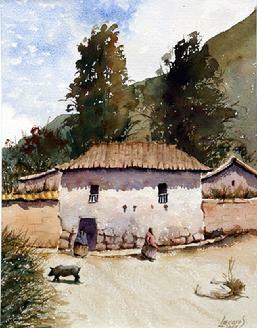 He worked cultivating fields of rice and banana trees and drew and carved wood when time allowed. 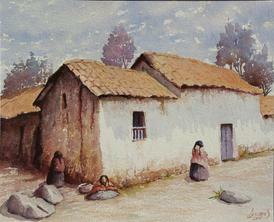 As a twelve-year-old he won a scholarship to Cuzco's School of Bellas Artes. 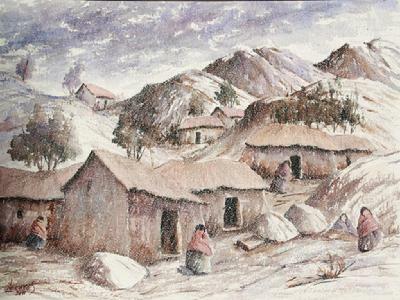 He studied there only briefly due to a lack of money for supplies and his refusal to follow the direction of his teachers. 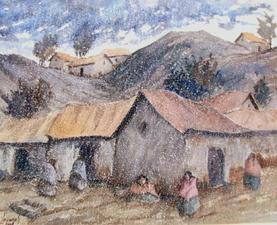 He returned to the jungle, taught in a rural school and joined the army for two years. 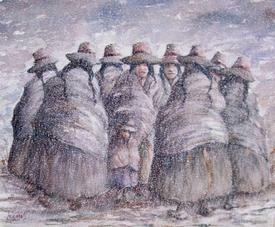 Art Studies At twenty-nine he entered the Centro Superior de Bellas Artes in Lima and received his degree in Artes Plasticas in 1975. 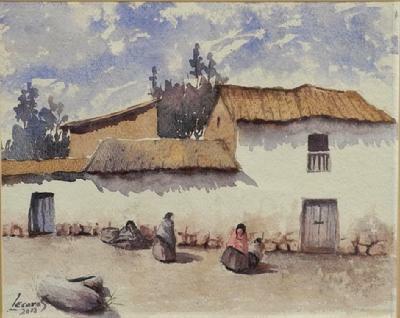 For seven years he taught art history and drawing at the Collegio Secundario Nacional Teresa Gonzales de Fanning in Lima. 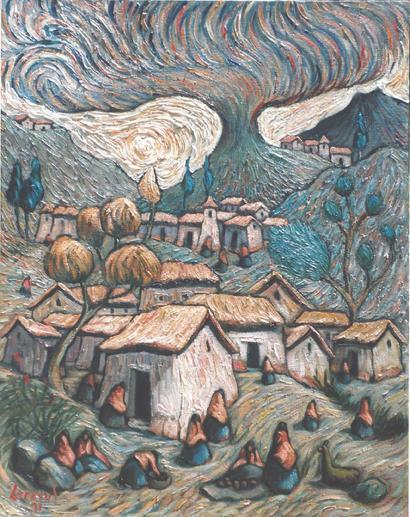 VanGogh of South America Lecaros lived in the San Francisco Bay Area of California from 1984 until his death on July 26, 2016. 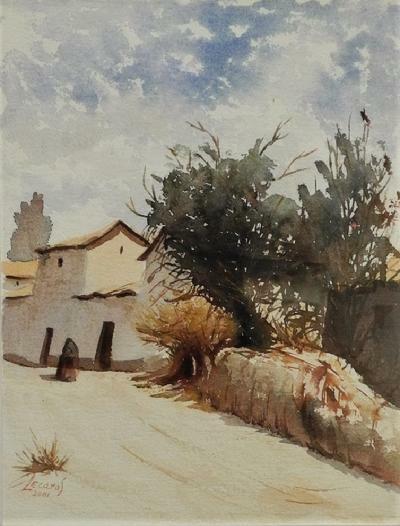 He was represented by Iguana Galleries since 1991. 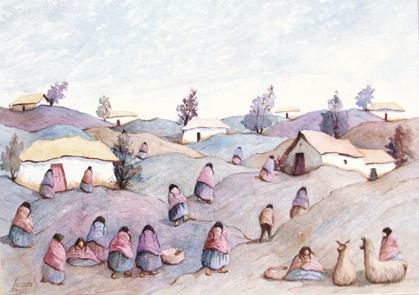 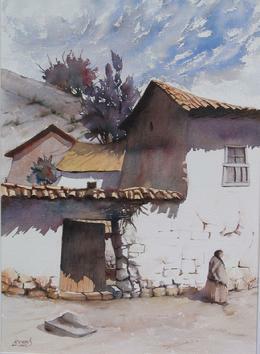 His watercolors describe villages in the Andes with great skill and yet freshness. 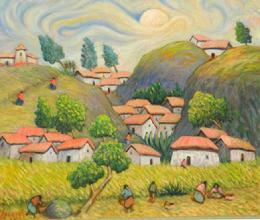 He has been called "the VanGogh of South America" for his oils with heavy, turbulent brush strokes. 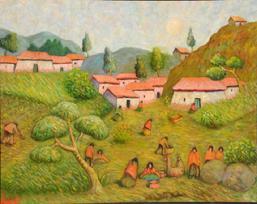 Lecaros also painted oils in a cubistic style with his characteristic beautiful and mature color palette.